Turkish President hints the country could lift its state of emergency after elections this month. Turkish President Recep Tayyip Erdogan is hinting that the country could lift its state of emergency after elections this month, AFP reported. The state of emergency has been in place since a failed coup two years ago and has already been extended seven times, the last time being in April. 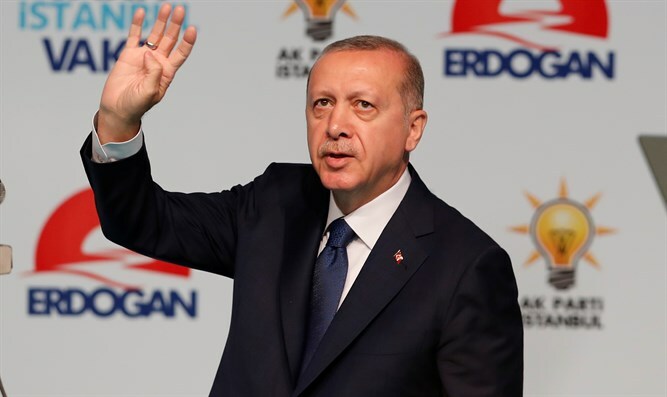 “After the elections, we will discuss the state of emergency in detail and there could be the question of lifting it,” Erdogan said during a televised interview broadcast late Thursday. The Turkish leader, who is facing stiff opposition for presidential and legislative polls on June 24, has previously insisted that the emergency measures would not be lifted until the “terrorist” threat is completely eliminated from the country. Turkish courts have so far handed jail terms to more than 2,000 suspects over the failed 2016 coup aimed at unseating Erdogan, a government minister said this month. Thousands of people including soldiers, police officers and judges have been arrested in a broad crackdown since the attempted putsch. Ankara argues the state of emergency is needed to eradicate the influence in Turkish institutions of U.S.-based Islamic preacher Fethullah Gulen, who it blames for the failed coup. Gulen denies involvement in the attempted coup and condemned it. He has hinted that the uprising could have been “staged” by the government. Gulen, who leads a popular movement called Hizmet from exile, split from Erdogan over a corruption scandal in 2013. Erdogan has long accused him of running a parallel state from abroad. The opposition has accused Erdogan of using the state of emergency to silence critics.